We have been doing a lot of work on the website, as we have mentioned over the past few months. We had taken a break the past month and are back on target of getting this site firing on all cylinders. 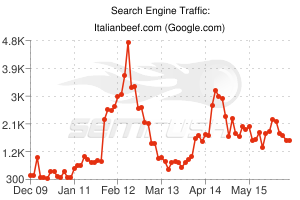 I was looking at some search stats on www.ItalianBeef.com Here is the graph of search traffic for Italianbeef.com. 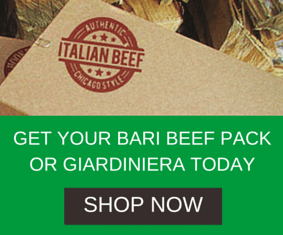 You can clearly see that Italian Beef fans are finding us easier and easier each year as we build our site out. The more help we can get from the fans, the better the site an user experience will be.